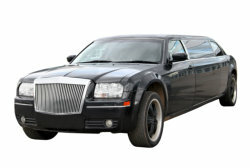 When you need a stretched limo for a special occasion such as prom, a wedding, a business event, or simply for a night out with your friends, we got the limos you are looking for. Our stretched limos are not only the definition of luxury and comfort but they are also in top-notch shape to ensure you can have a hassle-free and safe ride. If you are interested in finding out more about our limos or about the other services and vehicles we have available for you, please do not hesitate to give us a call anytime at 1-617-307-4100.